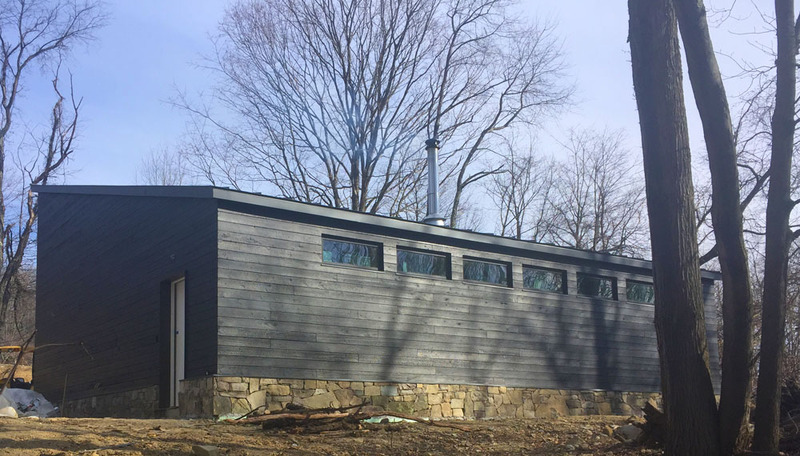 The barn and garage structures are a pair of ground-up buildings that are currently under construction in Marlborough New York. The 1400sft 4-car garage is a wood framed structure, with horizontal ShoiSugi Ban i.e. 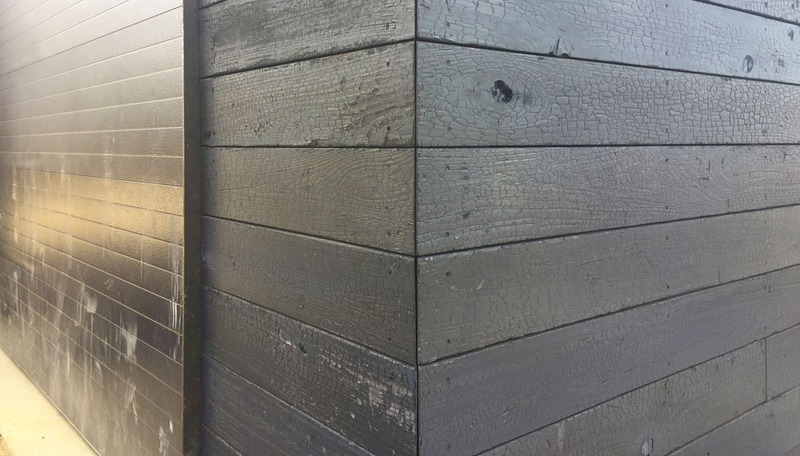 charred cedar on the exterior. 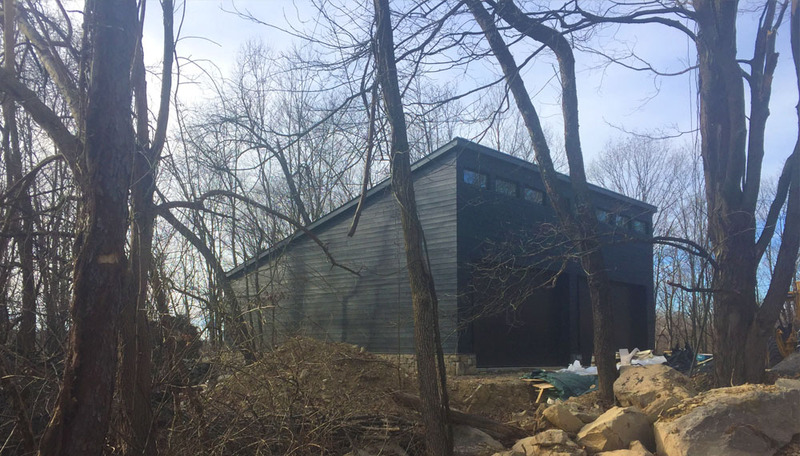 The 3400 sft barn building is a glulam frame with structural insulated panel (SIP) infill, clad in vertical charred cedar. A single slope standing seam roof slopes toward the south to maximize the southern exposure for future solar panel installation. Both buildings have thermally broken door and window systems with corten frames around the main entrances. A random rubble masonry plinth composed of bluestone sourced from the site, extends 18" above the ground level. 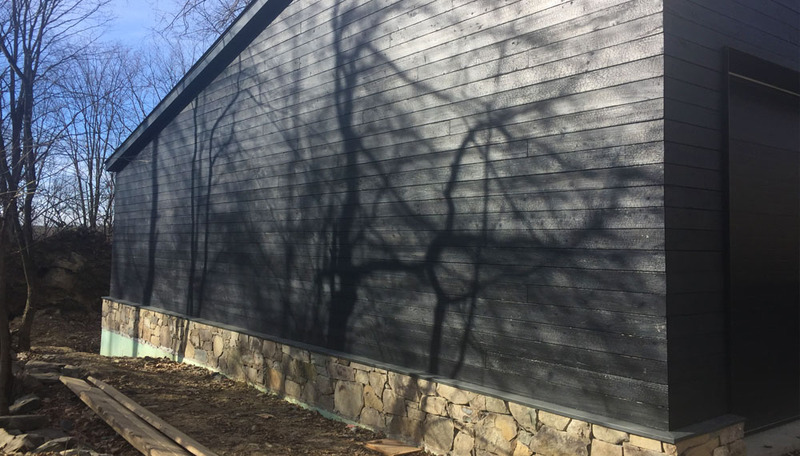 Construction of the garage is complete while the barn is expected to be completed by June 2019.